If you do not want to display all of the fixtured rounds for a competition you can use the Hide Competition Rounds/Dates functionality. This will allow you to hide specific rounds or a date range of rounds from displaying on your website. 2. To hide specific competition rounds click on the magnifying glass next to the competition. 3. 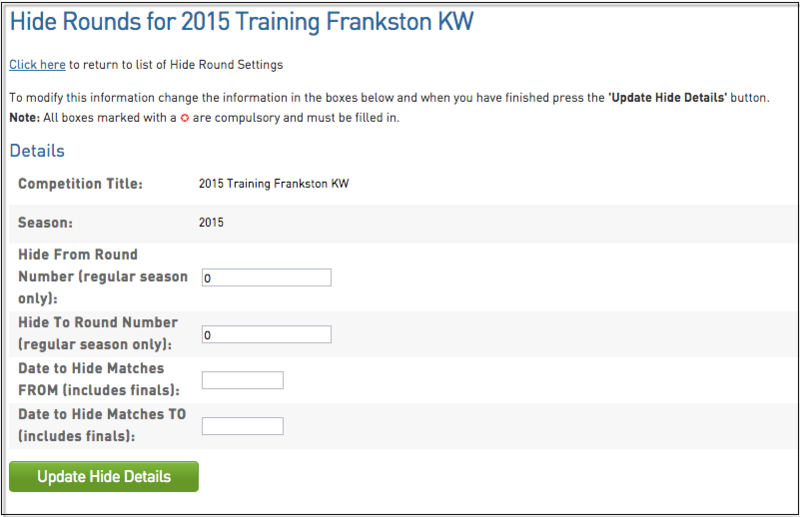 Choose to either hide rounds by Round Number or hiding matches by Date Range. Once done Click Update Hide Details. Once a ‘Publish to Web’ has been done, your website will hide the rounds. 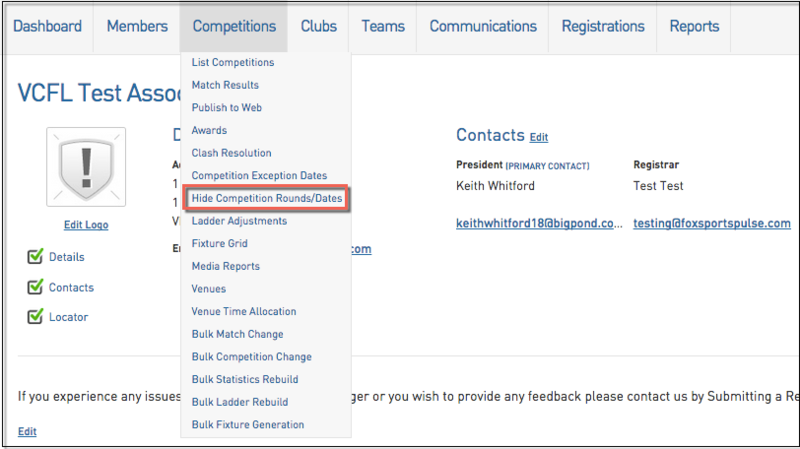 Any rounds that are hidden from the website will also be hidden from the Match Results area.